How to tie the Slipped Clove Hitch. Because the Clove Hitch should really be considered a quick and temporary attachment knot, this quick release slipped version makes it even quicker to untie. Always bear in mind that the Clove Hitch can fail under a heavy load. 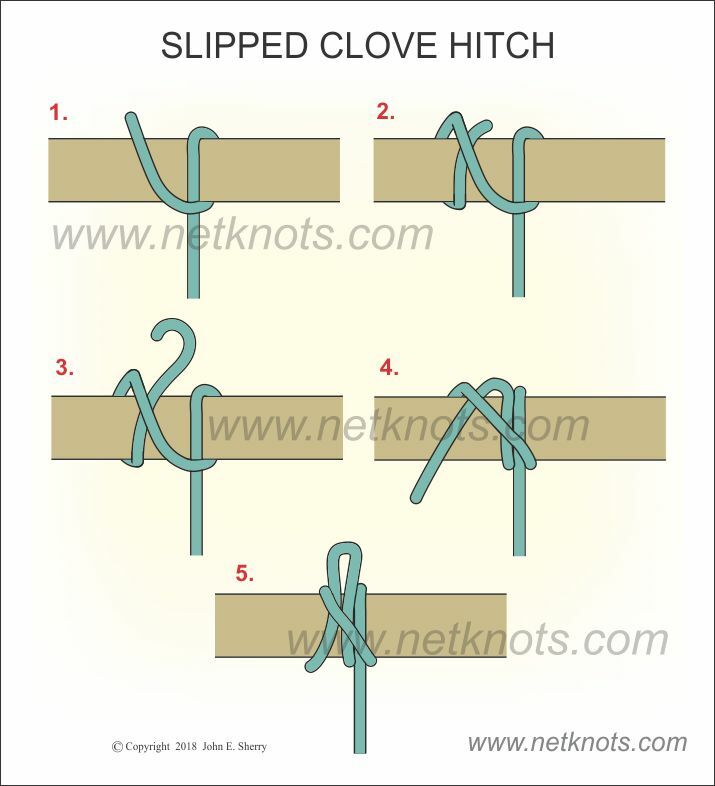 Scroll down to see Animated Slipped Clove Hitch below the knot tying tutorial. Form a Clove Hitch in the usual manner (Wrap the free end of a rope around a post. Crossover itself and around the post again. Slip working end under last wrap). When slipping the working end under the last wrap, first put a bight (a small loop) into the end and slip the loop through the wrap instead. Pull the knot tight while pinning the loop in the final wrap while adjusting the size of the loop to your desired size. To release the knot tug on the free working end.